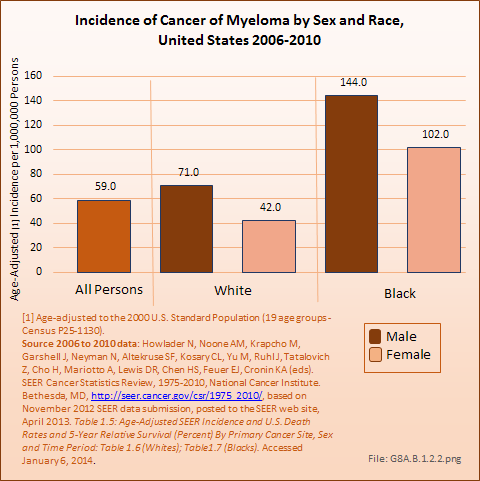 Although somewhat uncommon by comparison to such diseases as lung, breast, and kidney cancers, musculoskeletal neoplasms cause significant morbidity and mortality in patients. This is especially true in young patients who are more likely to develop such cancers as osteosarcoma, Ewing sarcoma and rhabdomyosarcoma. 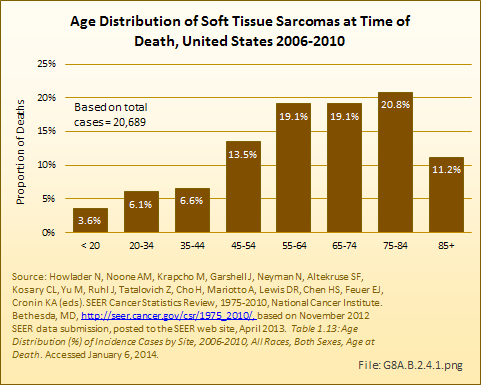 Musculoskeletal neoplasms and sarcomas, in particular, usually require concerted treatment efforts by coordinated medical teams. These teams are typically led by a subspecialty of physicians known as orthopedic oncologists. 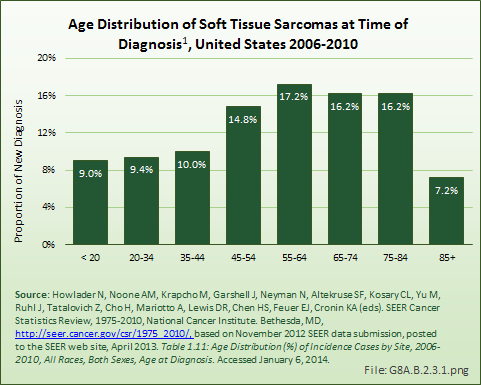 Because of the relative infrequency of musculoskeletal sarcomas, few institutions gather sufficient numbers to provide thorough epidemiologic and descriptive data. 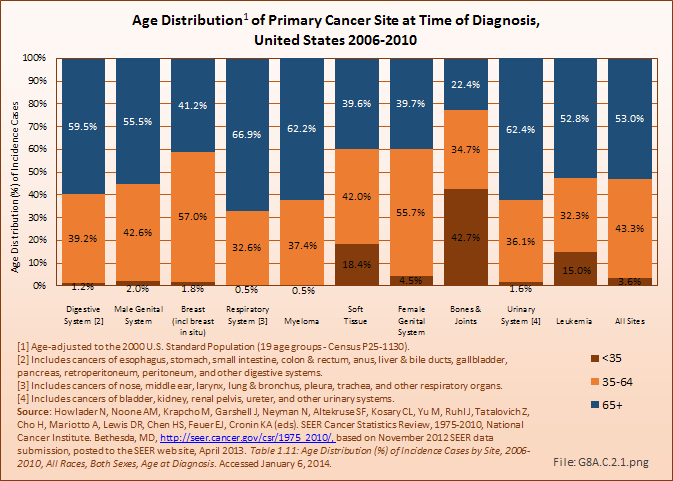 Therefore, tumor registry data are necessary to gather enough cases to generate meaningful data. 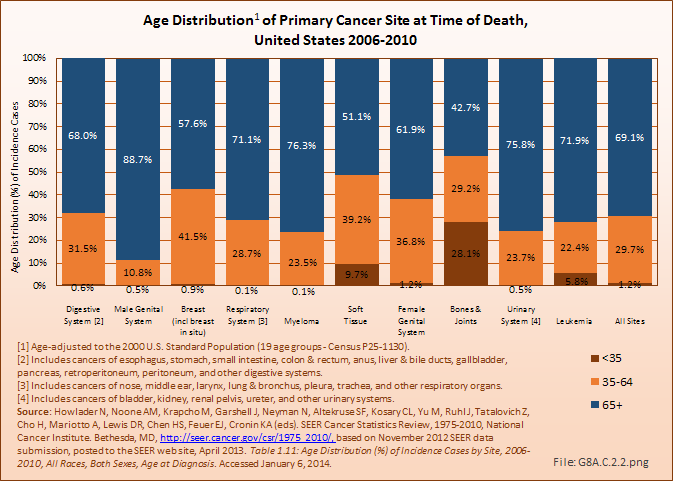 The following discussion is based on concerted analysis that incorporates the two largest tumor registries in the United States, The National Cancer Data Base (NCDB) of the American College of Surgeons (ACS) and the National Cancer Institute’s Surveillance, Epidemiology and End Results (SEER) program. 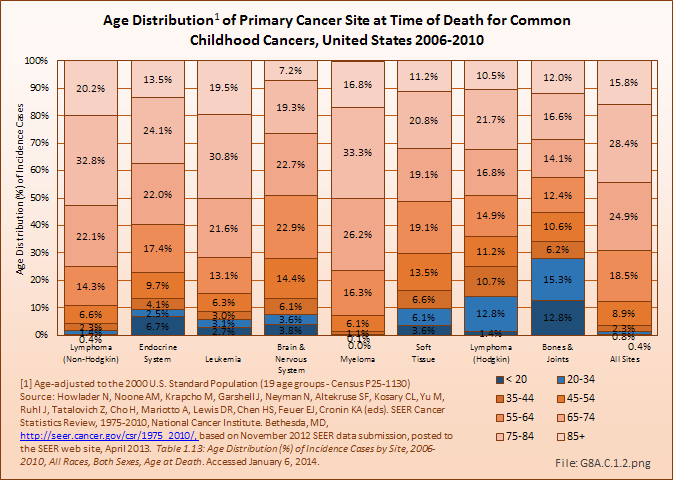 Actual incidence, death rates, and survival statistics are difficult to determine. The two databases derive slightly different numbers, and the numbers change annually with newly reported data. Thus, a direct comparison of NCDB and SEER is not possible. 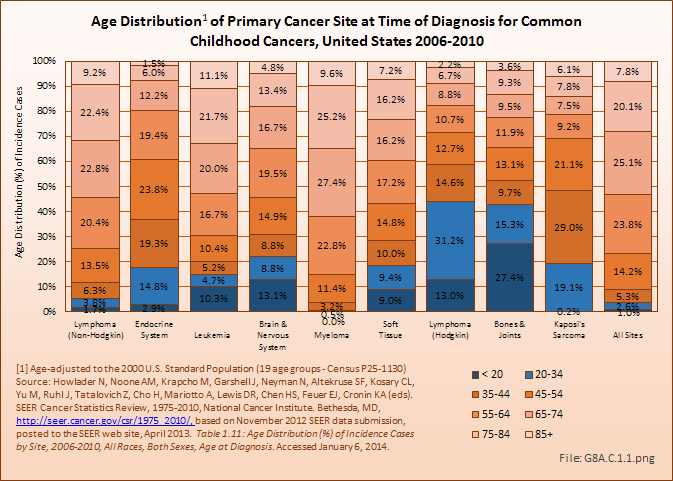 Sources for data cited in tables and graphs are shown. Sources available at the time of analysis may no longer be available. 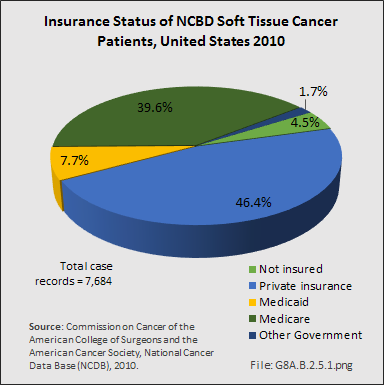 The NCDB is a joint project of the Commission on Cancer of the American College of Surgeons and the American Cancer Society. 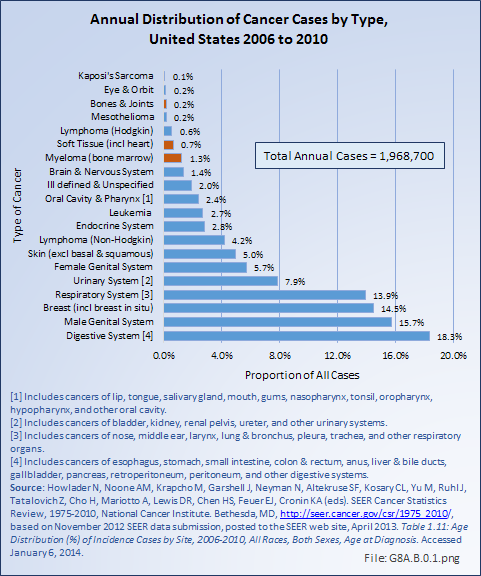 The data used in this study and this report are derived from a de-identified NCDB file comprising over 1500 Commission-accredited cancer programs. 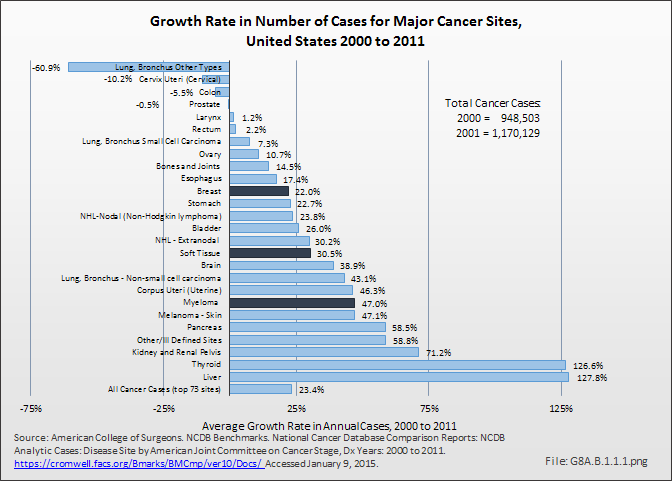 The American College of Surgeons and the Commission on Cancer have not verified and are not responsible for the analytic or statistical methodology employed, or the conclusions drawn from these data by the investigator and authors of this chapter. 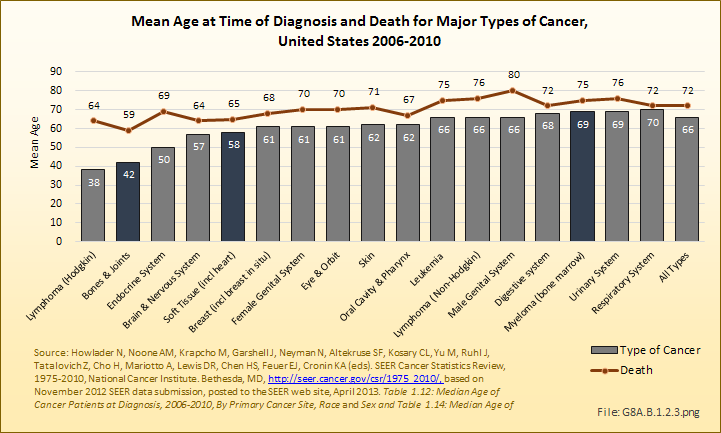 We also derived some tumor incidence estimates by analysis and extrapolation from one of the author’s case series data derived from his practice experience. Dr. William Ward was the only orthopedic oncologist at Wake Forest University Baptist Medical Center in Winston Salem, NC, during the period between 1991 and 2005. Virtually all cases of osteosarcoma in North Carolina were treated by one of the very few orthopedic oncologists in North Carolina during that time. 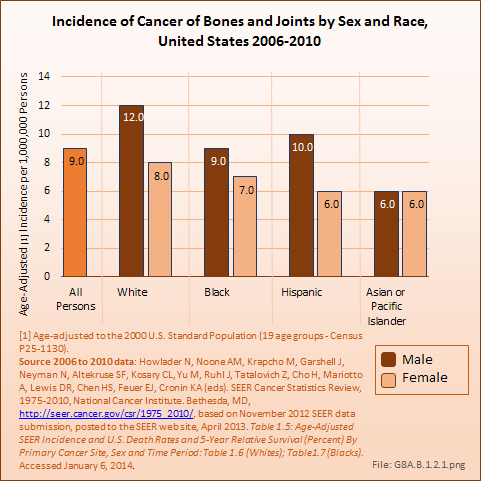 Dr. Ward’s personal surgical database contains detailed incidence data regarding many musculoskeletal neoplasms. 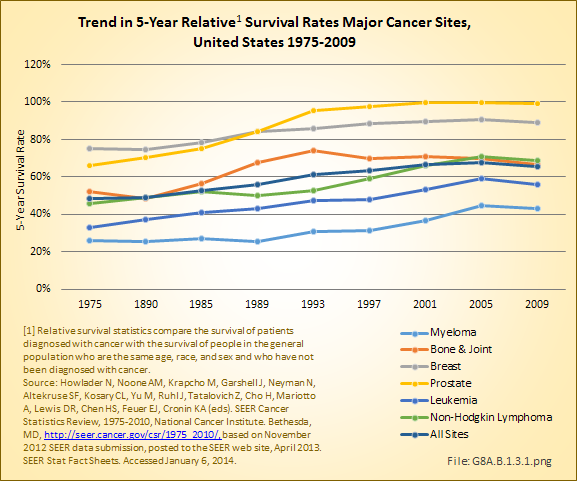 Comparing the incidence of osteosarcomas in the United States with that treated by Dr. Ward, we were able to extrapolate, using similar proportional estimates, to the national incidence of tumors for which there were no national registry data. 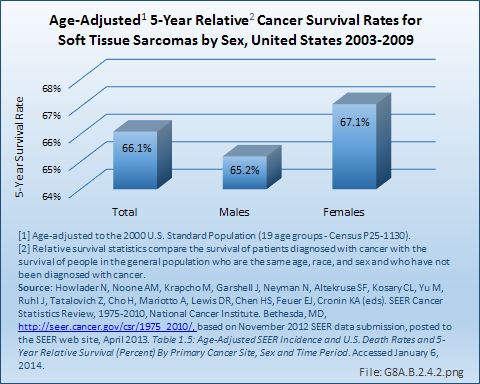 Typically, aggressive benign bone and soft tissue tumors are most likely to be treated by orthopedic oncologists rather than by non-oncological–trained surgeons. 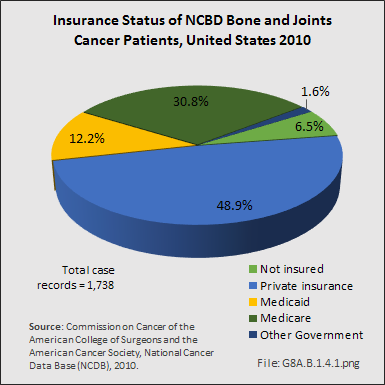 However, because there is no way to estimate the numbers of patients treated by orthopedic surgeons not specifically trained in oncology, the derived national data estimates will be conservative because of the methodology used. All estimates in this chapter derived from the above methodology will be clearly identified as an extrapolation of incidence estimation.